At Security Concepts we strive to provide professional security officers and patrol services that are tailored to meet our customer’s needs. Our managements hand on approach to our customers, allows us to provide a much more personalized experience for our customers needs. SECURITY CONCEPTS, INC: Your #1 Complete Security Service Company…Serving all of Southern New Mexico. Security Concepts, Inc. (SCI) is proud to be the largest privately owned provider of security in Southern New Mexico. We have been in business for over 28 years and our management has over 50 years of Law Enforcement and Security Experience. 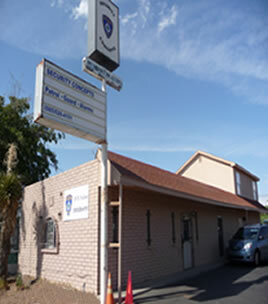 The general manager and owner is retired with 39 years as a law enforcement officer, including retirement with the State of New Mexico as Chief Investigator for the District Attorney’s Office. Our company currently employs approximately 65 security officers in Las Cruces. We are fully Licensed, Bonded and Insured. Our senior manager has over 20 years of law enforcement and security experience. He has been contract manager for two government contracts. He is a graduate of NMSU with a BBA and completed all Masters required courses in Criminal Justice. He was the criminal investigator for the District Attorney’s Office from August 1993 to September of 1998. He continued his career in law enforcement as a certified instructor specializing in firearm training, CPI (Nonviolent Crises Intervention) and use of force. He maintains his certifications in order to meet accreditation of our U.S. Government service contracts. Firearms Training (NRA and NMDPS), CPR, First Aid and Fingerprinting. Security Concepts management instructs all employees in communication skills, public relations, conflict resolution, report writing, use of force, use of mace, use of baton, legal issues and laws, search and seizure, arrest and detention, policy and procedure, emergency procedures, drug policy’s and dress codes. Security Concepts, Inc. is licensed, bonded and insured in the state of New Mexico, certified by SBA as a8 (a) minority small business graduate. Security Concepts, Inc. works government contracts in the Southwest region of the United States.